Grace Minnock a 5th year student in Killina Presentation being presented with the Perpetual Cup and medal for the highest result in the Junior Certificate Music Exam. 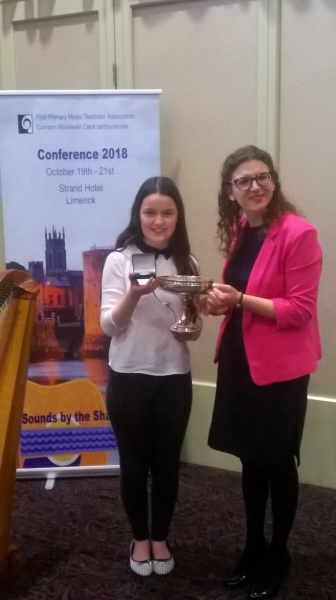 Grace played the Harp and a musical piece composed by herself at the Post Primary Music teachers conference held recently in Limerick. Grace comes from a family with great musical talent and has over 20 all Ireland Fleadh medals. Well done Grace !